The Basic Cookbook and recipe chip have a recipe for poached eggs which includes bringing the water to the boil for 11 minutes. While the water is boiling I put the Varoma on top and add some asparagus to steam. It’s always a good idea to steam something in the Varoma while you are cooking something in the mixing bowl. 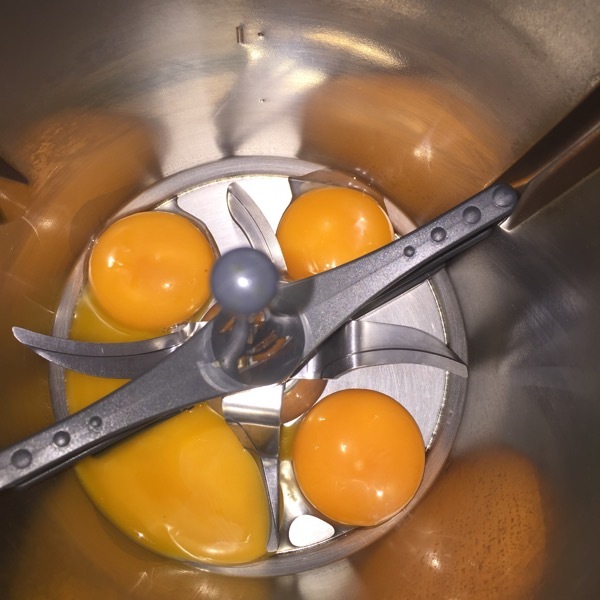 Once the water has boiled take the Varoma off and slowly drop each egg in one at a time through the hole in the lid into the simmering basket. Poach eggs for 3min/varoma/speed 2 then remove the simmering basket. Serve immediately. Or make the hollandaise sauce to go with your eggs. 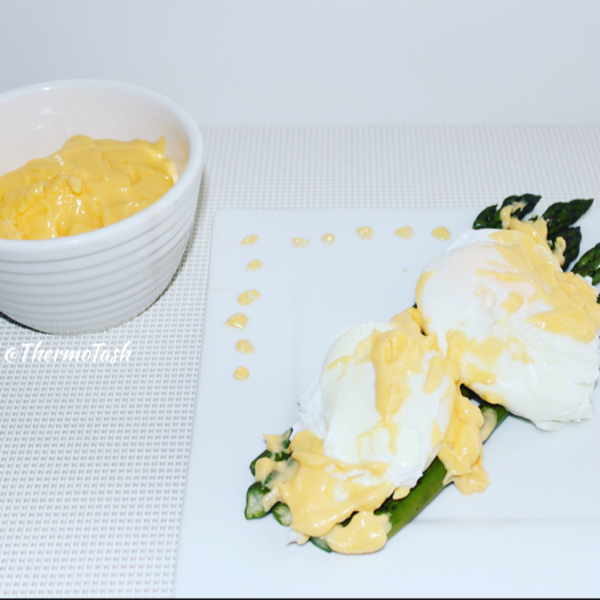 Hollandaise sauce is another recipe that I never would have made without my Thermomix. It seemed like it would be hard to do and I was worried about it splitting. 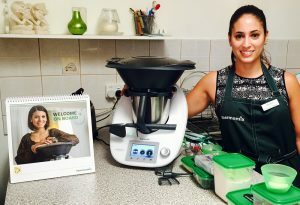 It’s so easy to make in your Thermomix and even easier using the recipe chip. All you need to do is insert the butterfly. Add all the ingredients and whisk 8min/90 degrees/speed 3 and you’re done.